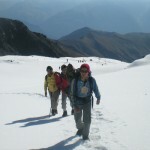 Trekking is an enthralling adventure activity that takes you close to the exquisiteness of nature. Trekking takes the travelers to the deep beauty of nature and makes them explore the pulchritude in the midst of serenity. 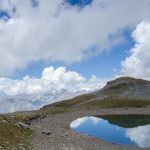 Blue planet is full of tremendous and magnificently beautiful regions that offer peerless opportunities for carrying out trekking. Focus on the Basics: The clothing technology developed for trekking is highly useful for waterproofing, lightness, and wind-resistance and wicking. 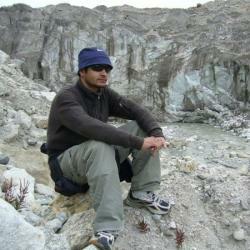 Nonetheless, it is important to focus on the basics while packing the clothes for trekking. The clothes you are taking with you should be breathable, easily layered, light and comfortable. The fancy gears for trekking may seem of no use, as you will face local breeze in flip-flops only. Thus, you must not spend your pockets. Just focus upon the quality and stay away from those fancy trekking equipments. Why to Carry Extra Luggage? In most of the treks, you will get many opportunities to purchase or rent to add on to your trekking kit. For instance, it is not comfortable at all to carry bulky waterproof pants in the backpacks. You will need it very few occasions in the trek. You must do the research thoroughly. Through keen research, you will get to know about the availability of different items used in trekking and varied costs of these items. In this way, you can relieve yourself from carrying loads with you on the tour. Camping equipments are important but not must: Carrying the camping gears will allow you to go more profound into the nature’s bounty. It renders a greater sense of independence and accomplishment. However, you may opt for residing in local villages that will give you a unique trekking experience of exploring local culture and food. 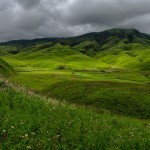 Be Ready for the Cool Climate: While trekking in soaring heights, you will need to have many layers on your body. It is true in all types of trek. The temperature at high elevations varies drastically throughout the day. Therefore, you must carry extra warm clothes in your bag. Nights are usually chilly even in the areas where the days are warm. On the peaks, you will need to put on extra clothes. On descending, you can take off those extra layers. Take Clothes for Rest and Sleeping: During the trek, your clothes will become stinky and bit dirty. Therefore, you should carry sleeping clothes to change and the end of the day. Such clothes with be dry, relatively clean and comfortable. For instance, you can carry extra pajama pants, t-shirt and socks. It will also provide stinky and wet clothes an opportunity to dry out during the night. 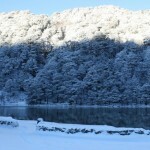 In the morning, you can change back to your trekking clothes to proceed further on the trail. Sun-Protection is Imperative: On going higher in altitude, the sun becomes more scorching. This calls for a need of proper care of skin from the sun. Make certain that you are carrying sunscreen in proper amount. You must also bring a hat to guard your face from the harsh rays of sun. It will be very hard to continue the trek with sunburn on head, hands or face. In addition, you must also make sure that you are carrying a sunglass with lenses of good quality to protect your eyes. Trekking Gear- What to Bring? 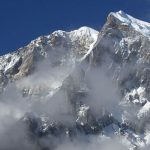 You should be in correct frame of mind as the high elevations are not the place to unleash distraught emotions. Try to keep calm on the trail. Make sure that the bag that you are carrying must be made of a sturdy material. You will get into contact with thorn bushes, rocks and dusty campsites, thus, there will be a risk of your rucksack being damage. Always carry the essentials like jacket, water bottle, etc., in your hand. Never pollute water sources or make the trail dirty. It is your responsibility to keep the route clean for other trekkers. Try to avoid trekking at night. You should hydrate yourself properly all through the trek, as the fluid requirement of the body augments rapidly on the trail. Give respect to the culture and emotions of the local inhabitants in the trail. 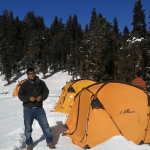 Smart backpacking is an imperative requisite for all the trekkers. Keep all the above-mentioned tips and important gears in your mind while backpacking and enjoy the trip in a comfortable and hassle-free manner!